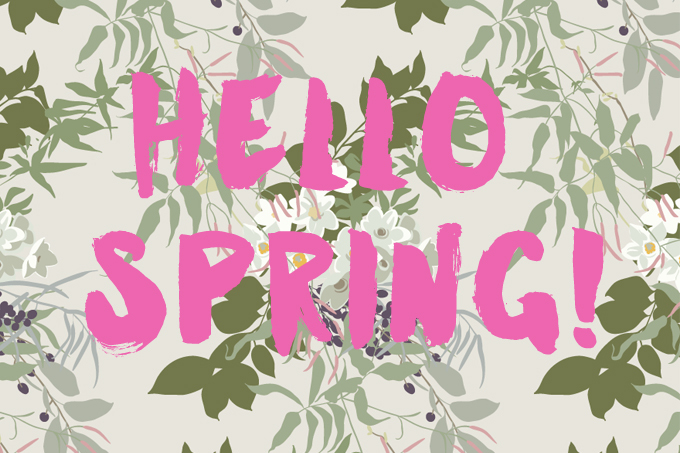 Spring has officially “sprung” in LA, so it’s time to bust out those flippy floppies, those picnic spreads, and that sense of adventure because it’s going to be a B-E-A-UUUTIFUL season. Sure seasons aren’t exactly SEASONS in LA, but in moments of desperation, there’s a few spots around town where one might catch a glimpse of a little change. If you’re ready for a little outdoor activity with scores of budding new life, these are LA’s 5 best spots to stop and literally smell the roses. 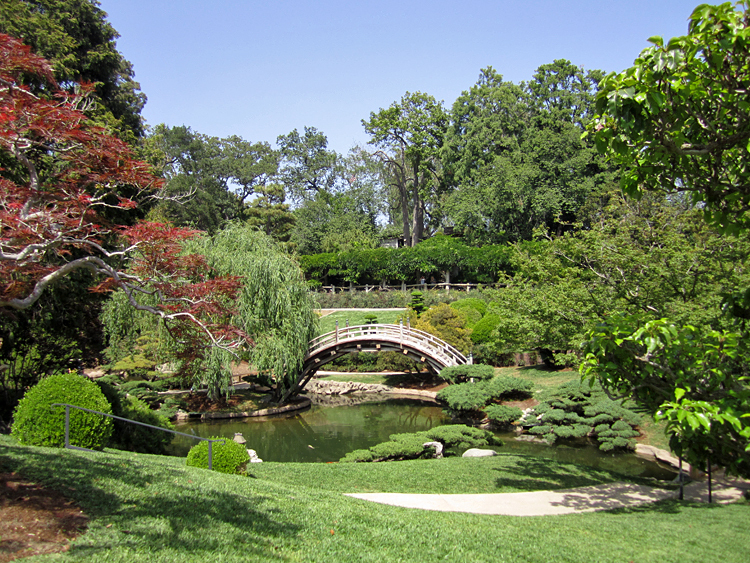 Look up the definition of “Spring” in the dictionary, and I bet a picture of the Huntington Library gardens is in it. 120 acres, 12 gardens, and 15,000 plant varieties – this right here is one epic plant party. Wisteria in the Japanese garden is in bloom right now, and it’s worth the drive alone to see. You know whats better than flowers? More flowers, and Descanso Gardens knows exactly how you feel. Right now about 34,000 plants are in bloom including over 600 types of Camellia, and if you were hoping to catch Cherry Blossoms in bloom, this is the place to find them! There’s 160 acres of botanical magic for you to explore at Descanso, and for $9 per person you can see it all. The Hollyhock House, named after owner Aline Barnsdall’s favorite flower, was Frank Loyd Wright’s first LA based project and built between 1919 – 1921. 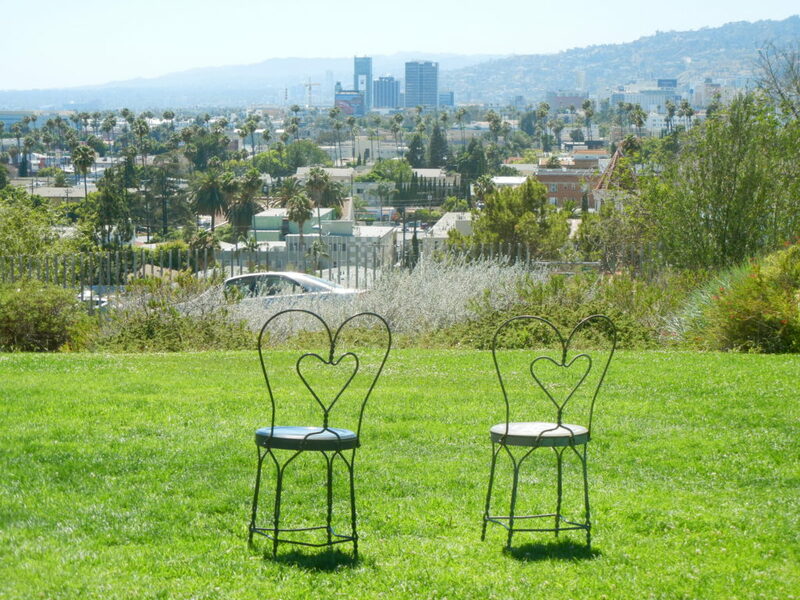 This gorgeous slice of architecture and landscape heaven (house and 11 surrounding acres to be exact) was donated to the City of Los Angeles in 1927 by Aline to be used as a public art park in memory of her father. The home was recently was re-opened to the public and offers “Walk Wright In” (see what they did there) self guided tours Thursday – Sunday 11am – 3pm. More like The EPIC Park Rose Garden if yaknowwhatimsayin… but seriously, this is one incredibly expansive and marvelously colorful public rose garden, and it’s one of LA’s best kept “secret” gems. After a bit of routine maintenance the rose garden as of March 15 is again open to the public to wander through and enjoy the football field sized patch of greenery. 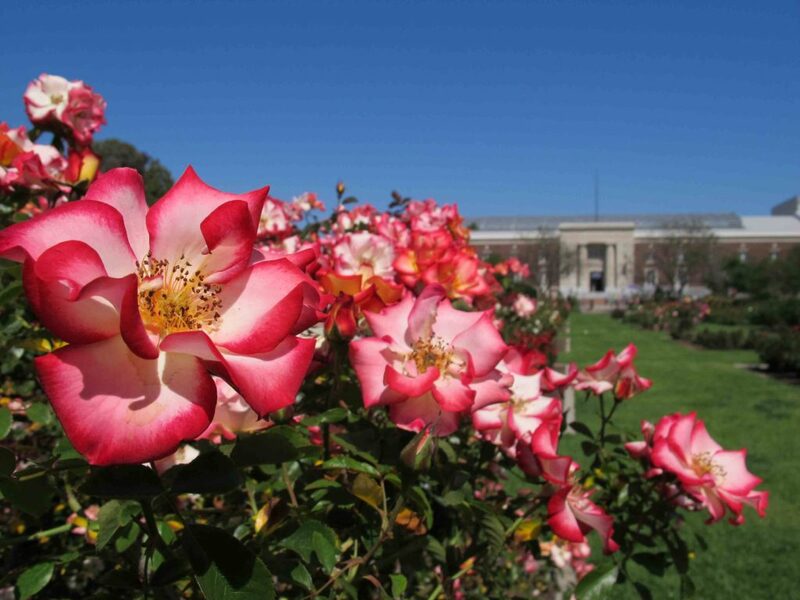 It is free to visit the 7 acre rose garden, and it is open daily from 9 am until sunset. 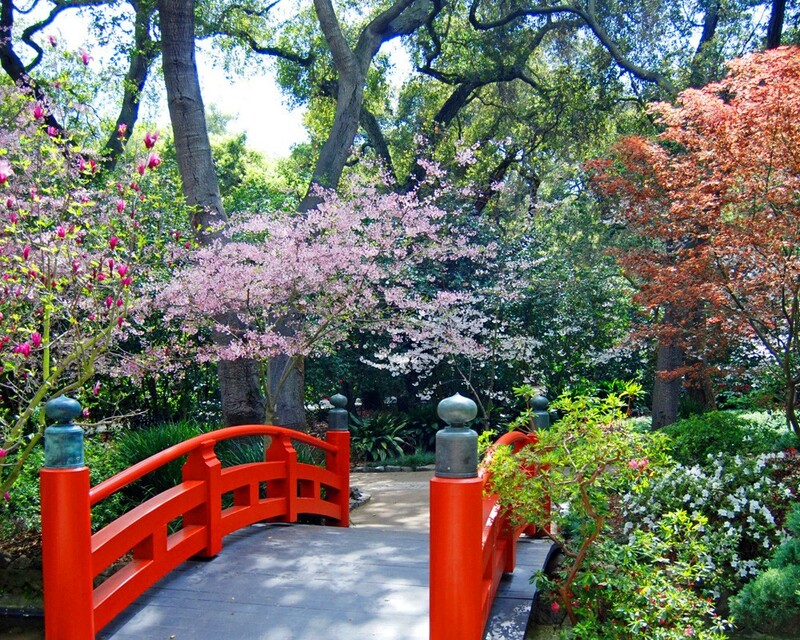 Located in the historic Rancho Santa Anita area in the city of Arcadia, the Arboretum is 127 acres of expansive horticulture magic. 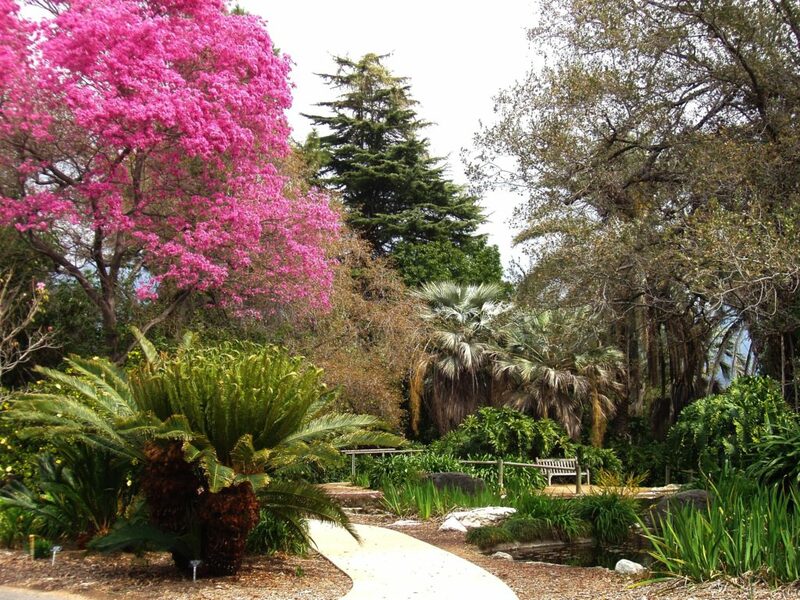 This a garden prepared to educate on the vast variety of plants and flowers, and whether it be for a lesson in botany or an afternoon of leisure and relaxation, the arboretum is one of the most beautiful places in LA to experience both. Be on the lookout for waterfalls and peacocks too while you peruse the some of the worlds most beautiful things.